The jury is out on whether the introduction of communal litter bins will help make our streets cleaner. The new bins replaced individual blue and green household bins earlier this year, and although many think they will make a positive difference, not everyone is convinced. According to initial feedback from a Greening Wingrove survey, opinion is split. Of 144 surveys completed, just over half (54%) thought the new bins would make a positive difference. However, just over a third (36%) disagree, and one in 10 think things will stay the same. Those who think the bins will have a positive impact say there is more room for litter. Those who see them as negative say there are not enough of them, that they fill up quickly and are not emptied frequently enough. 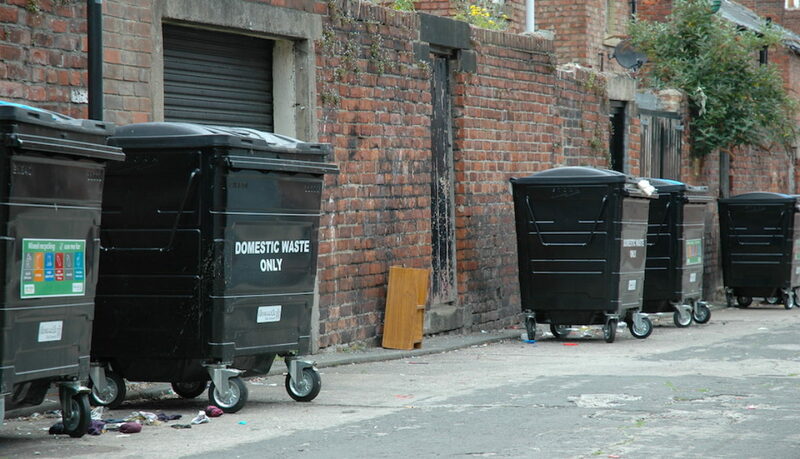 Others complain that access to the bins is difficult and that they are not being used properly. The initial findings are part of a Wingrove area survey carried out by Katrina Jordison, a community organiser for Greening Wingrove Community Interest Company (CIC). She has been knocking on doors in Sidney Grove, Dilston Road, Crossley Terrace, Belsay Terrace, Wingrove Road, Wingrove Avenue and Brighton Grove, asking residents for their views, and will be continuing the survey in other streets until the end of July. As well as finding out what residents think of the new bins, the survey has shown that more than two thirds of people feel a part of their local community, however many feel less attached to the locality in which they live. A sixth of residents volunteer every week and another sixth volunteer less regularly. The top concern of residents is the amount of rubbish and waste on the streets, and a public meeting at the Nunsmoor Centre last month attracted some 40 local residents who gave their views on the new bins and on strategies that might help clean up the area. 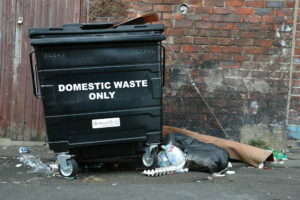 The City Council has set up a ‘waste commission’ to look at ways of reducing the city’s waste. The commission intends to listen to resident views and produce a report before the end of the year, with a series of recommendations for the whole city. Greening Wingrove CIC has submitted evidence to the commission, calling for “systemic change” in the way the Council delivers services. The submission calls for “local energies” to be tapped into “to tackle the causes of local problems … rather than just continuing to address the symptoms of problems”.